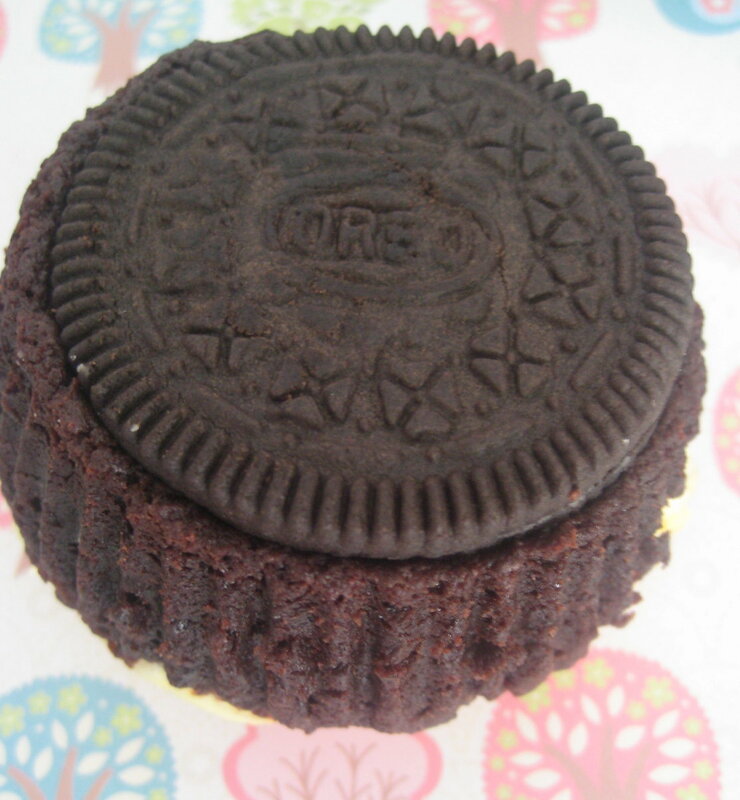 What is it about adding an oreo cookie to the bottom of a cupcake that makes such a difference. I don't even really care for them on their own. Oreo's that is, their Ok but gimme a home baked cookie any time instead and I'm much happier. But on the bottom of a cupcake, especially a cheesecake type cupcake and it's a different story. 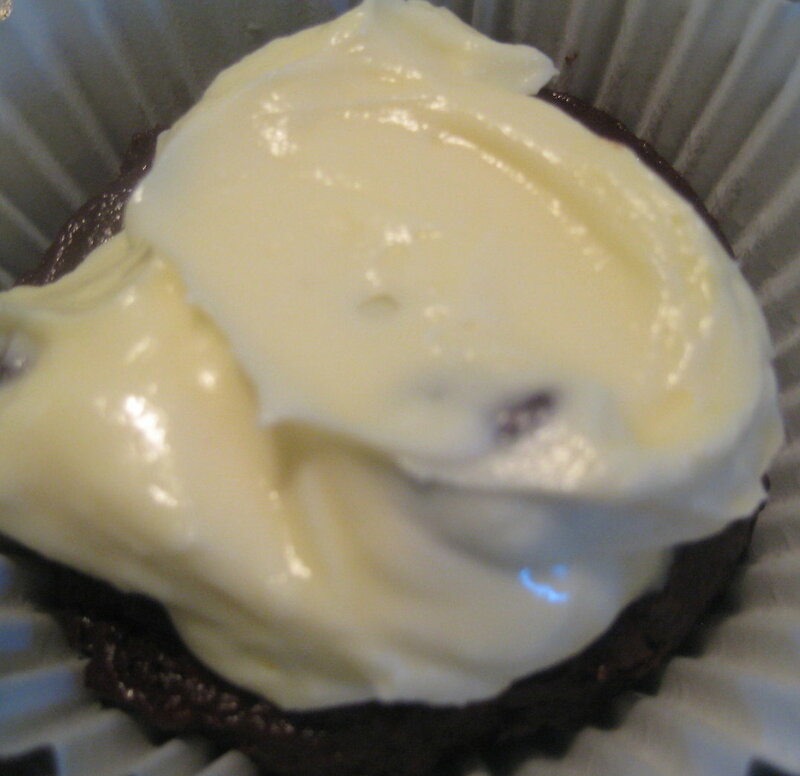 This Black Bottom Cupcake is adapted from the More from Magnolia cookbook. 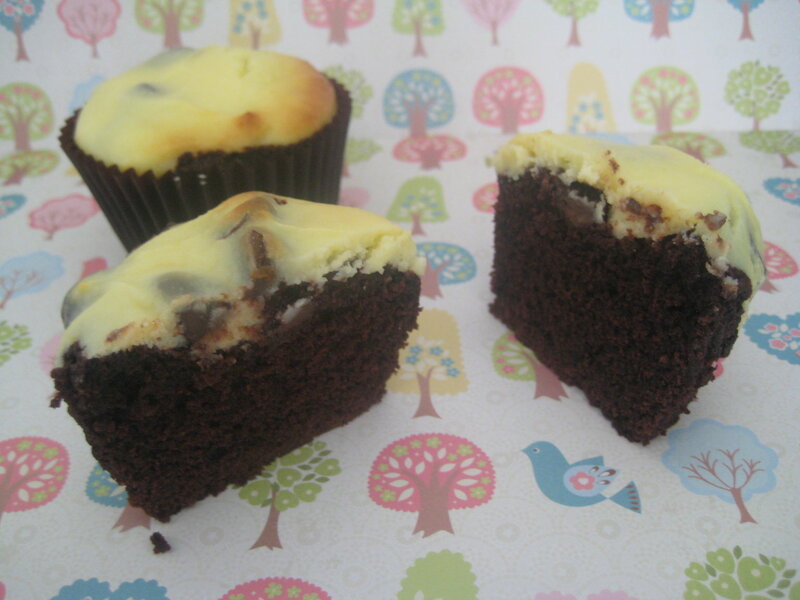 It's a chocolate base topped with cheesecake studded with chocolate chips. The base is made with oil and includes buttermilk so it does not seem quite as rich as a butter based cupcake but I think that makes the oreo combination even better. Due to this they seem to be best eaten the same day or next day. If you prefer you can leave out the oreo cookie completely and you will still have a batch of pretty delicious cupcakes. Line muffin tins with 18 cupcake papers and insert an Oreo cookie into each paper. 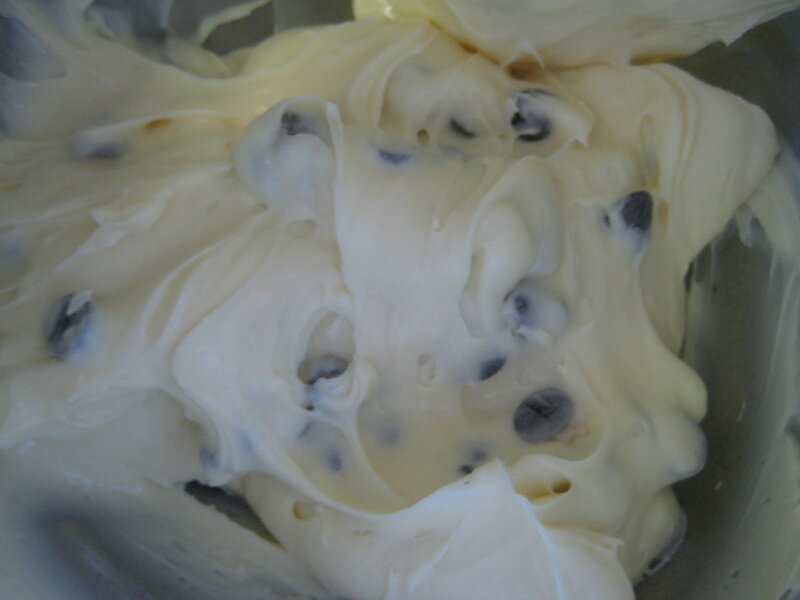 Make cream cheese filling by beating cream cheese and sugar until smooth. Add egg and beat well, gently stir in choc chips. Set aside until required. Make black bottom cupcake mixture. Sift together flour, cocoa, bicarb soda (baking soda) and salt. In a large bowl mix together oil and sugar with an electric mixer. Add dry ingredients in 2 parts alternating with the buttermilk and vanilla and mix until combined scraping down sides as required. Spoon cupcake mixture on top of Oreos until the paper cups are around 2/3rd full. Drop a small scoop around 1 Tbsp (US 1 1/2 Tbsp) of the cream cheese mixture on top of each cupcake. Bake for 30-35 mins or until a tester inserted comes out clean. Cool in tins for 30mins. Remove from tins and cool completely on a wire rack. Beautiful cup cakes, a delight to bake. Nice clicks. 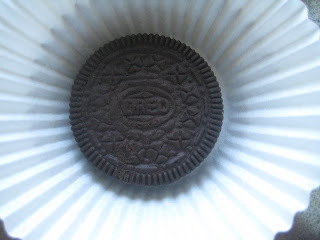 Wow, this is new... never tried lining Oreo underneath a cupcake. Must be delicious! oh I like the cupcake idea! 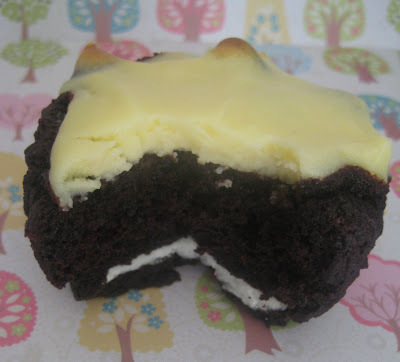 I've made oreo bottomed cheesecakes but i think these would be even better. Ooo, nice idea. Would be a lovely contrast of textures too! I love black bottom cupcakes! We had those at my kitchen tea-the oreo idea sounds like a definite upgrade! now that is just perfect!!! what a great cupcake, the oreo at the bottom is a wonderful addition! oh yum oreoy goodness! these look and sound delicious, would love to try them!